From the big-band sounds of swing to the soulful notes of rhythm and blues, jazz-lovers should head for the second International Jazz Extravaganza (IJE) which returns to Durban once more on June 17. 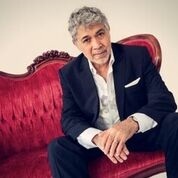 Taking place at the Durban International Convention Centre-Arena (Durban ICC-Arena), a star-studded line-up including award winning American classic, Monty Alexander, will take to the stage delighting audiences and inspiring true jazz connoisseurs. “The International Jazz Extravaganza is growing into Durban’s very own signature event for those passionate about jazz both in South Africa and from abroad. It is an intimate one-night-only affair featuring leading international and South African jazz musicians. Offering a superior four act line-up, five-star hospitality and an all-round best-of-class experience, the IJE is where music, fine-dining and networking come together in a luxurious setting,” says president and chief executive officer of the IJE, Sindile Xulu. Monty Alexander has been known to say, “For the most part, when I play music, I smell it and see colours. Every song has its own personality, its own soul, and if I can’t feel it, I can’t play it with feeling.” It is this exceptional approach to jazz that Alexander will be bringing with him to this year’s IJE, along with his distinct Jamaican sound and nuances which will undoubtedly be felt through the ebb and flow of the notes he plays. Jazz connoisseurs can also look forward to a special appearance by Alexander’s band, the highly-acclaimed Harlem-Kingston Express, who will be joining him live on stage. Music icon Kurt Elling will no doubt also be a huge drawcard for jazz aficionados to the IJE. With every one of his ten albums being nominated for a Grammy, Elling is well-known for the impressive technical mastery and emotional depth of his rich baritone voice. Well-known local artist and SAMA nominated Nduduzo Makhatini, who has won the hearts of jazz lovers internationally, and sensational new vocalist and pianist Thandi Ntuli complete the line-up, ensuring that the IJE is a not-to-be-missed celebration of jazz as a pure and sophisticated art form. Nontokozo Madonsela, head of marketing for Standard Bank Personal and Business Banking, says: “It is a true honour that Standard Bank has become synonymous with jazz in South Africa. Our support of events such as the IJE and the Standard Bank Joy of Jazz, as well as the Standard Bank Young Artists Awards, only cements our association with this phenomenal art form and we trust that we will go far in assisting this genre of music to grow from strength-to-strength across Africa. “We look forward to partnering with IJE, the City of Durban, KZN’s Provincial Department of Arts and Culture in celebrating a rich blend of African and international jazz in the heart of Kwa-Zulu Natal, bringing jazz enthusiasts and connoisseurs from across the continent together for one night in a truly global celebration of the art of jazz and its heritage,” adds Madonsela. The IJE’s focus on emphasising what Durban has to offer as an intimate music destination aligns with the focus of one of its presenting partners, the City of Durban. “Our city is well-known for our generous hospitality, warm weather, and engaging cultures. The IJE gives us an opportunity to showcase more of Durban, and also accelerates our economic growth and local employment. We are proud to host this event for the second year running,” says City of Durban Mayor, Cllr Zandile Gumede. Tickets to the IJE are available at Computicket. For hospitality and corporate packages, contact bookings@ije.co.za or visit www.ije.co.za for more information. The second IJE is brought to you by its presenting partners, the KZN Provincial Department of Arts and Culture and The City of Durban, along with its association partner, Standard Bank Personal and Business Banking. Media partners for the IJE are Mzansi Magic Music, Kaya FM and East Coast Radio and their official suppliers are Aha Hotels & Lodges, The Blue Train, and SMG-Durban BMW.